Customers living in, and having items shipped to, their residence or business located in the United States and U.S. territories (including Puerto Rico, the U.S. Virgin Islands and Guam). 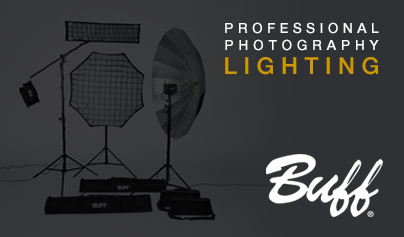 **Attention European Customers** We have partnered with European photography and video equipment company, Flits & Flash, to provide an easier and faster way to purchase our products. - Any 60-Day Satisfaction Guarantee / Product Warranty will be handled through Flits and Flash. It is more timely and cost effective for the customer to utulize Flits and Flash for all repair and warranty needs. Please contact Customer Service for ordering options and instructions. They can be reached via phone at 1-800-443-5542 or 1-615-383-3982 , Monday - Friday from 9am - 5pm CT or via email at info@paulcbuff.com. In thanks for your long-time support, we will allow established international customers who ordered directly from us (prior to Oct 2009) to place new orders from our U.S. headquarters. Customers who previously ordered from PCB Europe or PCB Australia will be required to provide proof of their status as a previous customer. Acceptable forms of proof include a receipt of sale or email confirmation of order. Please contact us for assistance. As our shopping cart does not calculate shipping charges for international orders, you will have to call us to place your order. Please be aware that UPS has restrictions on shipping some items, such as the Vagabond™ systems, to certain international locations. *It may be more cost effective to order directly from Flits and Flash, if you are in Europe, as opposed to ordering from us direct or sending your equipment in to us for repair. International Customers can go through us (Paul C. Buff, Inc.) for repairs and service (whether warranty or non-warranty), though all shipping costs to and from our office will be the obligation of the customer. PCB Europe / PCB Australia (1st Line Digital Pty Ltd / 1st Line Europe Ltd) and Gotham Audio (Switzerland) are no longer authorized to represent Paul C. Buff, Inc. and sales from these companies are not recognized as authorized sales. Equipment sold by any company or entity outside of Paul C. Buff, Inc. may not be covered under warranty.